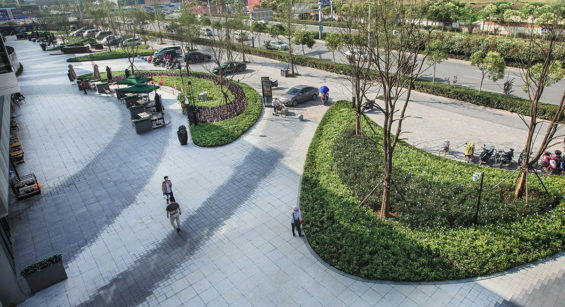 ASPECT Studios was commissioned by Vanke Hefei for the landscape design of this 33,200 sqm landmark retail destination and office development in the city of Hefei, capital of Anhui province. 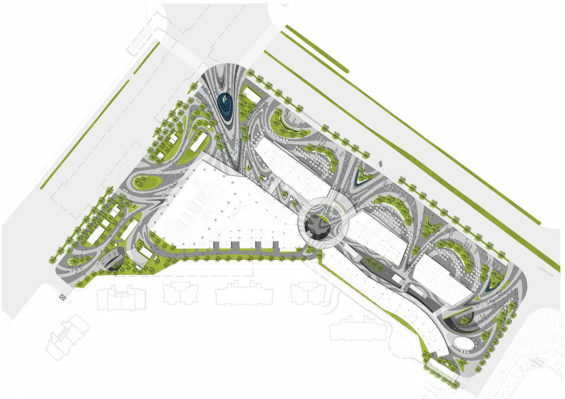 Phase 1 of the project was recently opened to the public with great success and Phase 2 will be completed later this year. 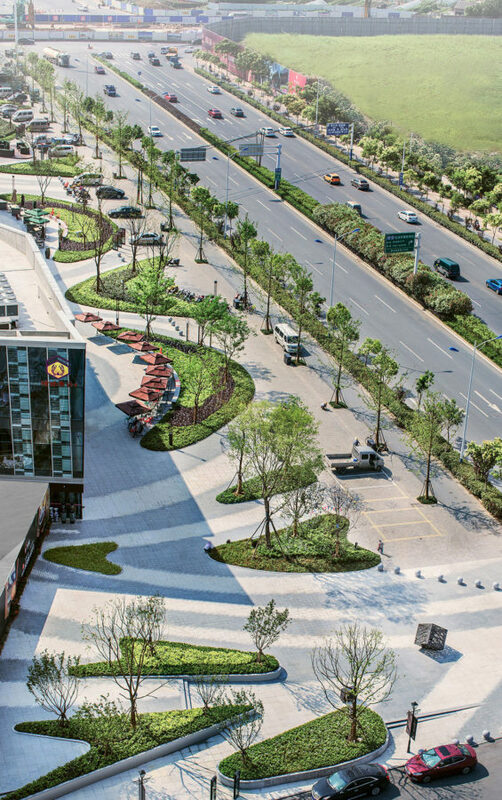 Located in the Luyang District of Hefei, the site enjoys strong and convenient transport infrastructure. 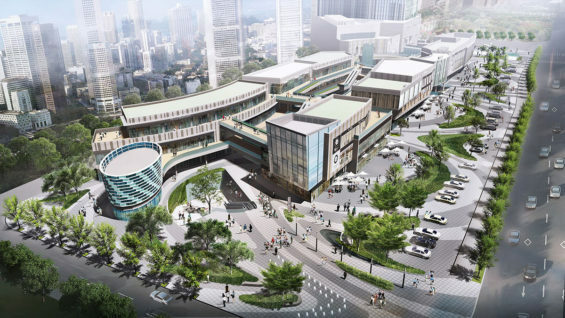 The Architectural design consists of a combination of retail destination and high-end office space. At the design we worked closely with the client team to develop an integrated framework of people orientated experiences and function to meet both the social and commercial needs of the project. This design framework formed the basis of our decision making through the development of the creative design process. 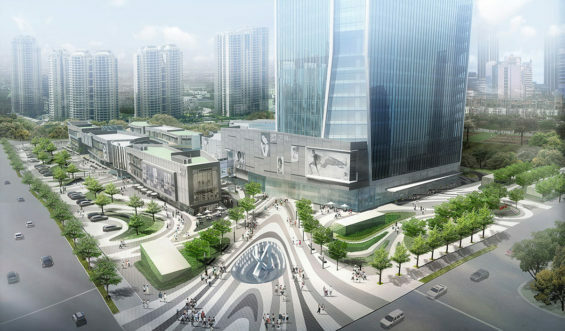 The Nanfei River flows to the south of the site and it separates the retail development to the adjacent residential developments. 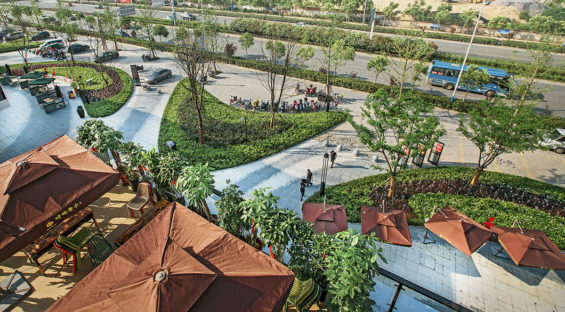 As the climate is very dry in Hefei, the local people enjoy coming to the riverfront area for relaxing and social activities. 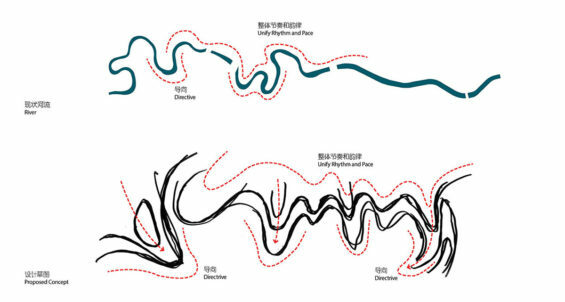 Inspired by the flowing nature of the River, the design was developed to stimulate visitor experience and to encourage movement and connectivity. 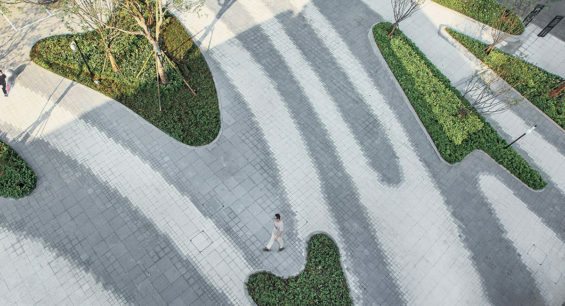 Using a free flowing language that dawns visitors in while creating a sequence of fluid social and activity areas, buffered from the main road designed encourages people to stay longer. 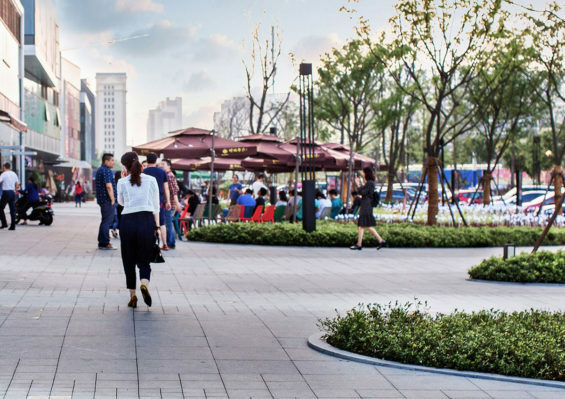 The outcome is a vibrant and inviting retail hub designed with a strong sense of social infrastructure while respecting the site’s cultural and environmental context, providing a range of opportunities for people to come together for a variety of experiences in a green development. 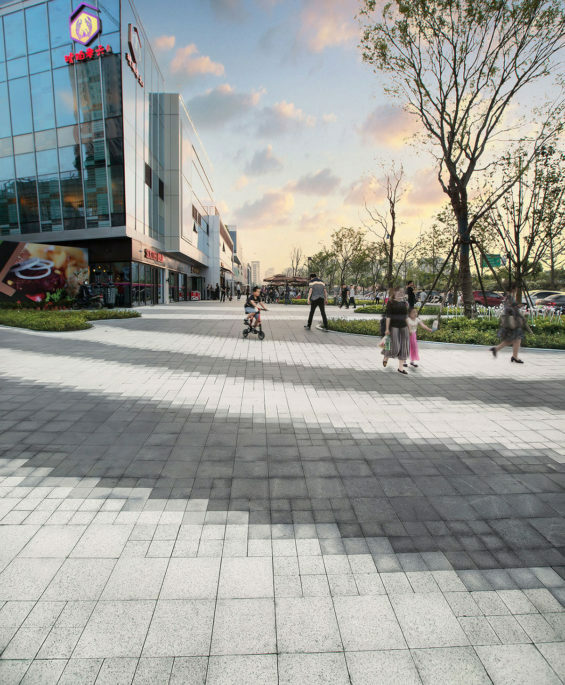 The design consists of two primary entrance plaza spaces, office entry, retail street frontage and inner retail street sunken plaza. Entrance experience – Rather than the standard large empty entrance space the design team developed the entry experience with a strong emphasis on visual statement and attraction from the surrounding are done with human scale and comfort in mind with. A series of shaded connections meandering through islands of planting. Retail frontage – A series of fluid spaces connect both interior and exterior functionality and experience combined with emphasis on the entry into the inner retail street. 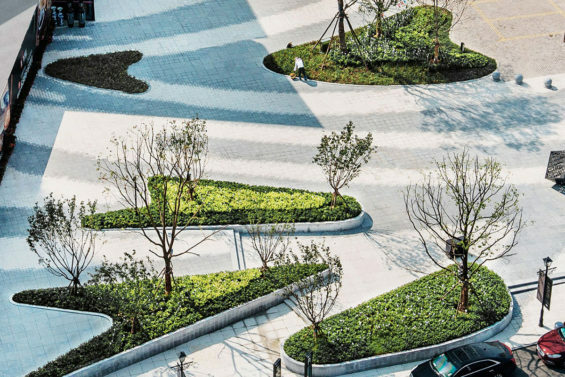 The resulting spaces are buffered from the road, with landform and planting while retaining open view to the architectural frontage and retail shops. Inner retail – This consists of a series of fluid spaces housing entertainment, promotion, kiosks, seating and vertical planting to increase the unique retail atmosphere of the enclosed linear space. 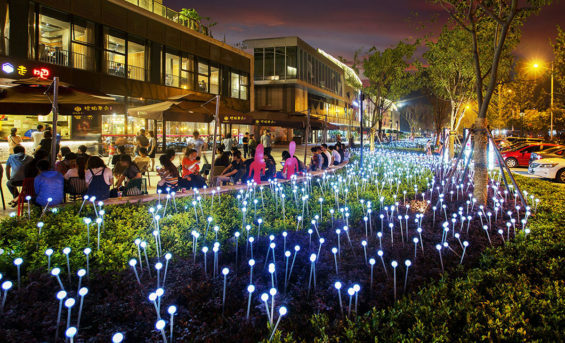 The spatial design and form intensifies to reflect the change of inner spatial conditions. 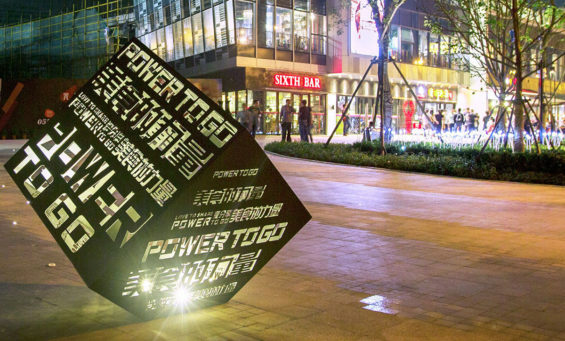 Office arrival – The office entrance space deals with a number of elements, traffic movement, drop off, entrance signage. In general the rhythm of the design opens in this area to provide views to the architectural facade. 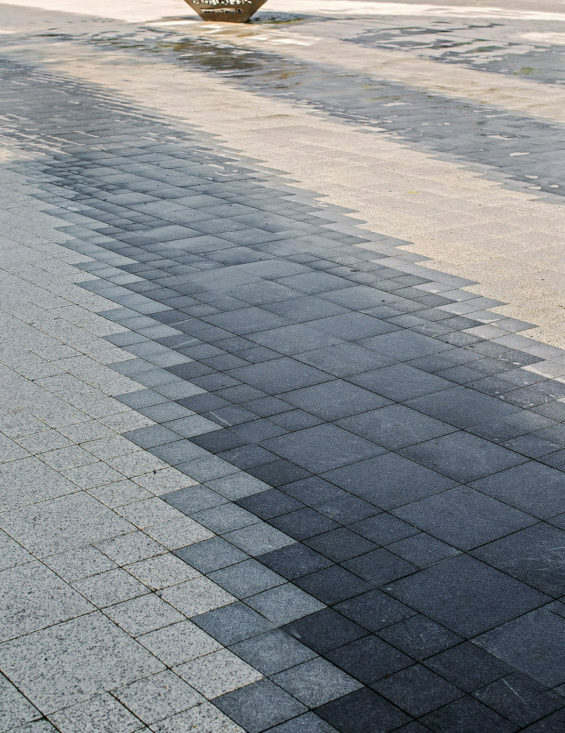 Realizing the dynamic and fluid hardscape design came from undertaking a series of detailed 3D studies in which the team explored cost effective and innovative solutions to achieve the desired fluid effect. 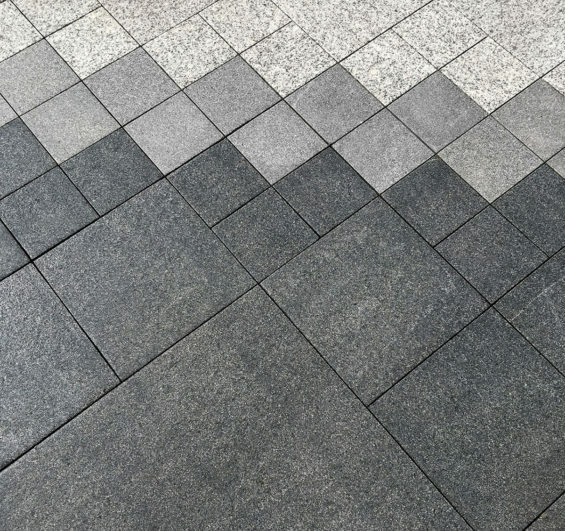 After considerable study and consideration our developed solution simply utilized three tones and three sizes, design and developed in a such a manner to create a large scale optical illusion, in which the square becomes a curve. Working closely with the client team, and the ASPECT Studios’ design team undertook many site visits to ensure the quality and build finish reflected the design and vision. This included visiting the site at key stages, material selection, reviewing test sample areas, initial setting out and final review and snagging. 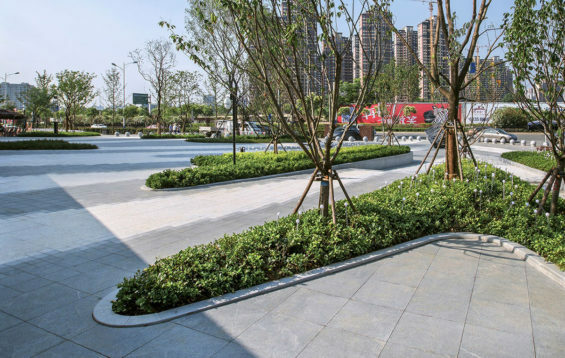 To achieve the complex paving design the construction team were introduced to the guiding principles of achieving the curved and flowing design with the standard square units. Following this the construction was undertaking in team of two, one in control of the accuracy and correct selection of unit size and colour, the other responsible for the laying of the paving and quality control. As with many projects, issues do arise on site and our regular attendance ensured we were able to respond to any issues while on site and provide solutions.